Smaller lenses can be grooved! 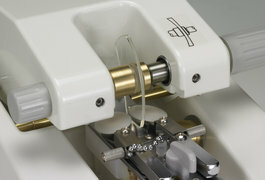 Processes a small 24mm high lens for the latest frame fashions simply in a single job cycle due to a new designed lens guide system. 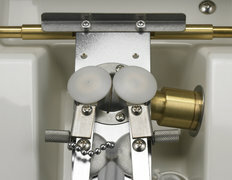 Depth and location of groove are adjustable simply and precisely. Three grooving styles - are available. 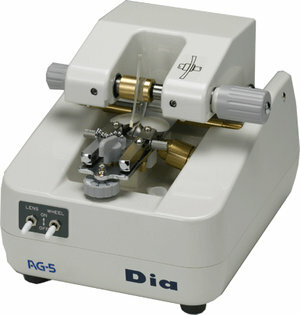 High quality diamond cutter wheel fine grooves both mineral and plastic lenses.